When planning an Ireland vacation or holiday you’ll find that, as a destination, Ireland has something for everyone. Whether booking flights to Ireland, planning a city break in Dublin, enjoying the famous hospitality of the Irish, touring the countryside, fishing, golfing, spending your Honeymoon in Ireland or enjoying a lavish stay in a luxury Irish castle, Ireland will charm, enthrall and entertain. Ireland is an island of contrasts with mystique & traditions that belie a modern, progressive Irish society. 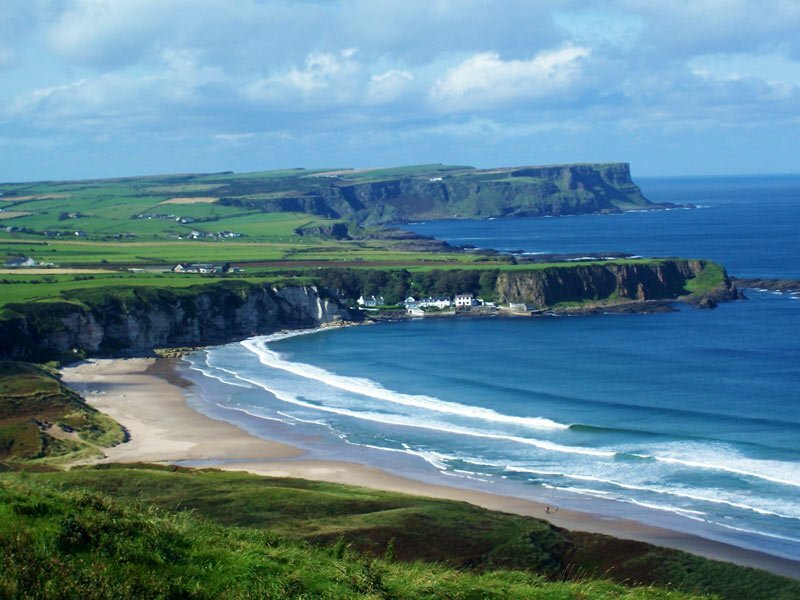 For decades Ireland, as a tourist destination, has been renowned for its idyllic countryside, rugged coastline and rural traditions, for Irish music, literature, language and Irish culture, from legends & leprechauns to ancient monuments & Irish castles. What makes Ireland so special is its evocative scenery; the landscapes that have spawned the legends of Fionn Mac Cumhail, Cu Chulainn, Diarmuid & Grainne and the legendary warmth and friendliness of the Irish people. Ireland (Éireann in Irish) is a place that both absorbs and permeates visitors leaving them with cherished memories. People sure don’t come to Ireland for the weather, though even when the rain is beating down its easy to find solace in a quiet corner beside a roaring fire or a riotous afternoon enjoying the craic in a local pub. Besides, on the Emerald Isle, it’s the rain that makes the grass so green. Error: Error validating access token: Session has expired on Tuesday, 26-Feb-19 11:00:00 PST. The current time is Saturday, 20-Apr-19 20:05:52 PDT.